SANAA, March. 27 (YPA) – Yemen’s Minister of Transport Zakaria al-Shami said on Wednesday the statistics of the infrastructure’s losses caused by Saudi-led coalition war on Yemen estimated at over $4.3 billion. 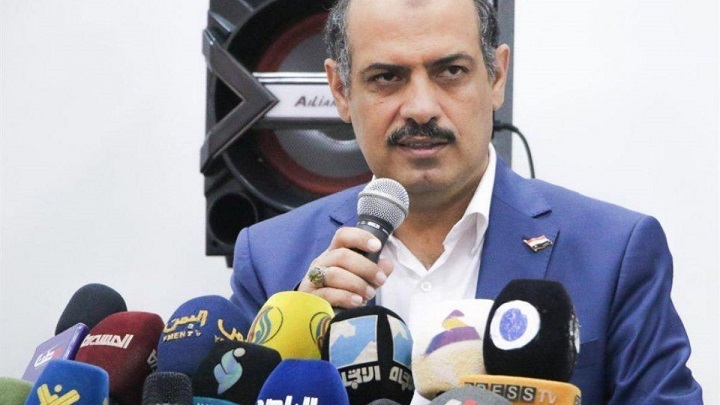 “Targeting, blockade and closure of air, sea and land ports, and land crossings by the coalition have created a great humanitarian tragedy,” the minister said in a press conference in Sanaa. Al-Shami affirmed that the coalition’s all-out siege have led to death of thousands of patients and hinder an access of medical and humanitarian supplies and oil derivatives. “100 thousand patients have died due to the depletion of medicines and medical solutions and 220 thousand others need to treatment in abroad, as well as 15-25 cases die from disease every day,” al-Shami added. #BREAKING: #ASIR – #Yemen army repels 2 wide-scale attacks of Saudi-backed militias off Alb crossing, killing and wounding tens of them.